Description: An automatic updater for MyBB. There are no database changes in this plugin. There are no template changes in this plugin. 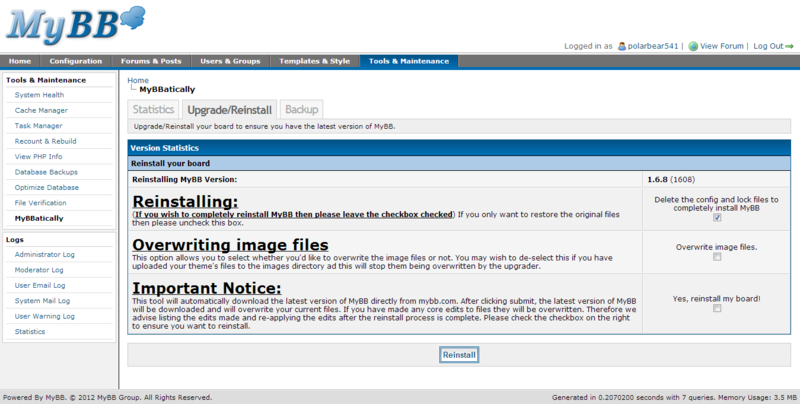 This plugin allows you to automatically update/reinstall MyBB with the touch of a button. This plugin automatically downloads, unzips and overwrites your MyBB files and even removes your install lock file ready for upgrading/reinstalling (if you choose to). 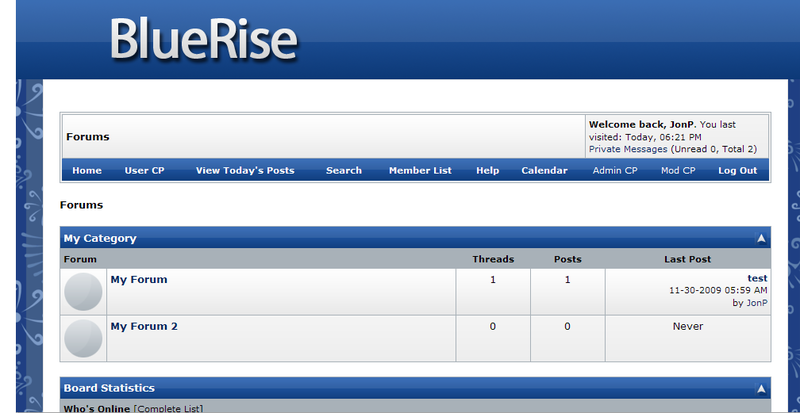 Then MyBBatically will appear on the sidebar in the Tools section of your ACP. MyBBatically allows you to specify which admins can upgrade the board. To allow a specific admin to upgrade the board, navigate to ACP > Users & Groups > Admin Permissions (whichever admin you wish to allow/disallow to upgrade the board) > Tools & Maintenance > Allowed to upgrade board? You can set this to 'Yes' or 'No' for whichever admins you wish (default is no, super admins will ignore this and be able to upgrade the board regardless). While on the 'Statistics' tab, you will see an overview of the version of MyBB you're currently running and the latest version of MyBB currently available. While on the 'Upgrade' tab, you will see the version of MyBB you're upgrading from, the version of MyBB you're upgrading to, an option to automatically delete the lock file (also redirects you to the upgrade page), an option to overwrite your graphics and an important notice regarding the upgrade process. While on the 'Backup' tab, you will have the option to backup your files and your database prior to upgrading.